(Newser) – The Postal Service just cannot catch a break these days. A sculptor has sued the USPS because it mistakenly used his version of the Statue of Liberty on a stamp instead of the original in New York Harbor, reports AP. 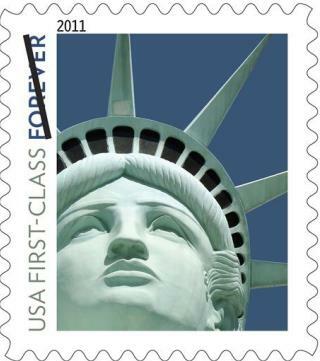 The mistake itself is old news: The Postal Service created the stamp based on a photo of Robert Davidson's sculpture in Vegas and acknowledged the error in 2011. But it also said that it liked the Vegas version better anyhow and has kept right on producing the stamp. Actually he copied the original, so the Bartholdi family should sue him. i hope mr davidson wins- stooooopid post office!